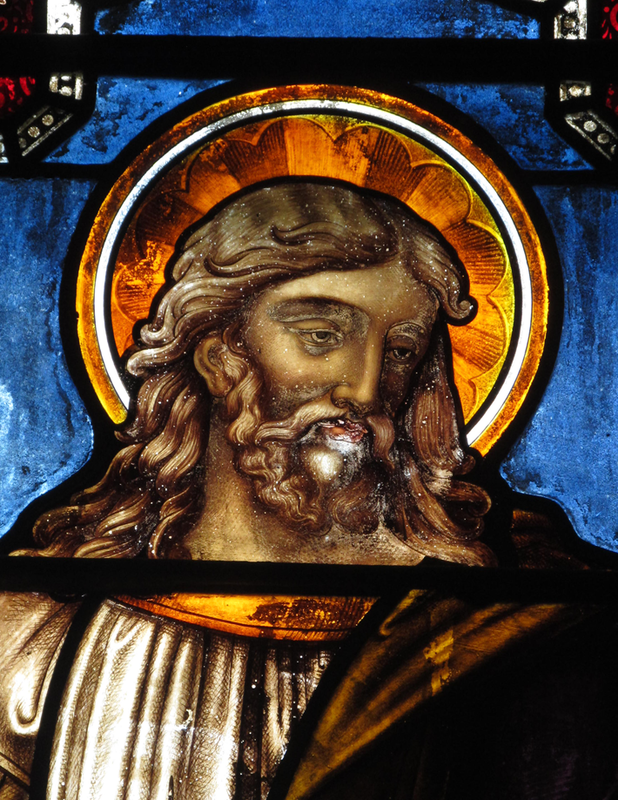 The traditional art of crafting stained glass often includes painted detail on the glass. The paint is fired at a high temperature to permanently set the paint into the glass. Unfortunately, history tell us that this process was not always executed successfully. A window which has not been properly fired can result in unstable paint; evident where painted detail has faded or is completely missing. 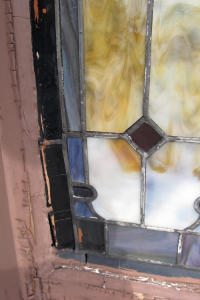 Unstable or faded paint is the result of under-fired glass paint. Glass paint is permanently set into the glass at approximately 1200 degrees F. At lower temperatures the paint will not set and therefore is not permanent. 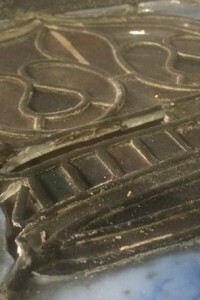 Under-fired glass paint has a dull matte finish and will fade over time. Painting on stained glass requires that the painted piece be fired at a high temperature to permanently set the paint into the surface of the glass: approximately 1200 degrees F. If fired too hot the paint merely burns away. If fired too low the paint does not set properly and will fade over years of service. We do not recommend adding paint to the existing painted glass in an effort to replace what is missing. The firing process which sets the new paint can burn off the remaining unstable paint and may not accomplish the desired result. The recommended repair may vary depending on the type of window and wishes of the church.